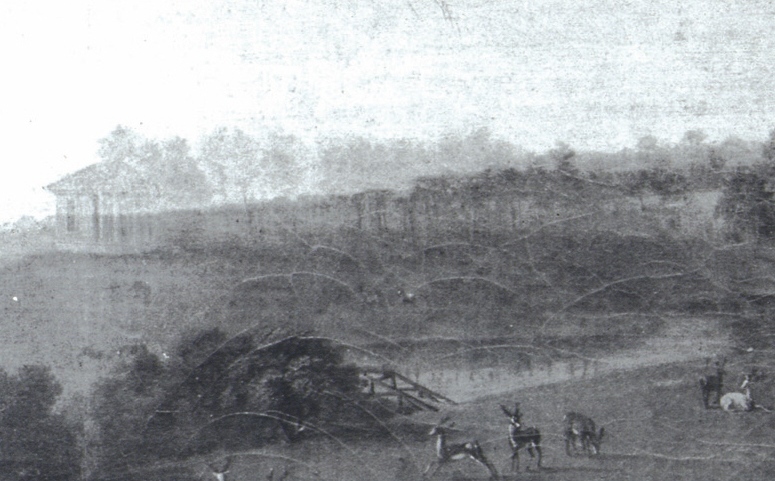 Development seen through historic images from the eighteenth and nineteenth centuries. 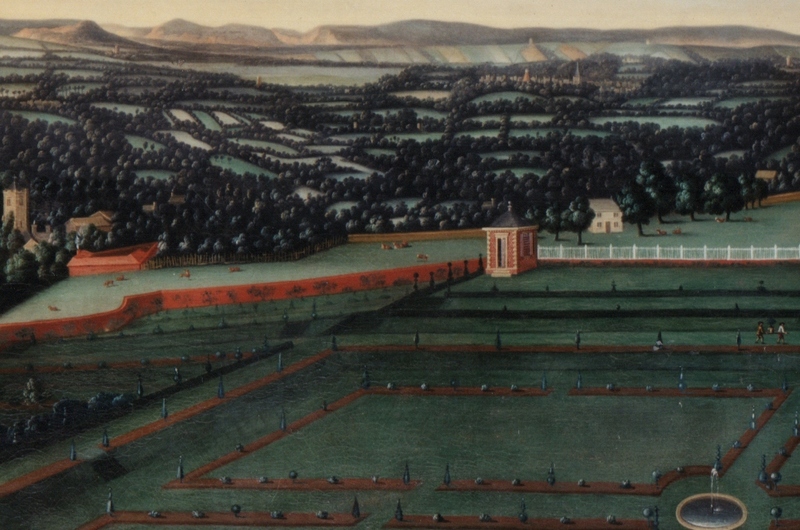 Formal Gardens, c.1710, by the same hand. 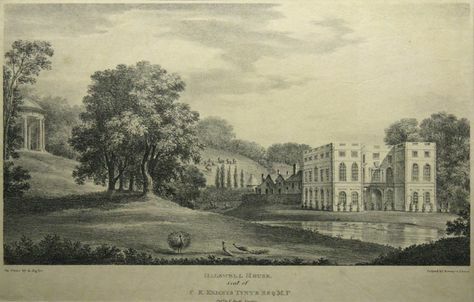 The high redbrick walls, gate pillars with armorial beasts, fountain and formal layout were all demolished during the 1740’s as was the rectangular Banqueting House of c. 1690 in the centre ground which was gone by the mid-eighteenth century to make way for the circular Rotunda of 1755. 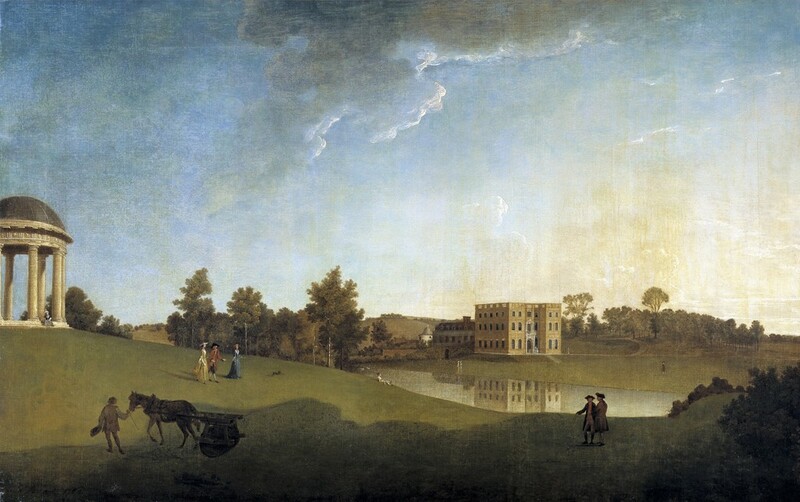 Detail, from left to right: St Edward’s Church, Goathurst, the walled garden and the c.1690 Banqueting House. 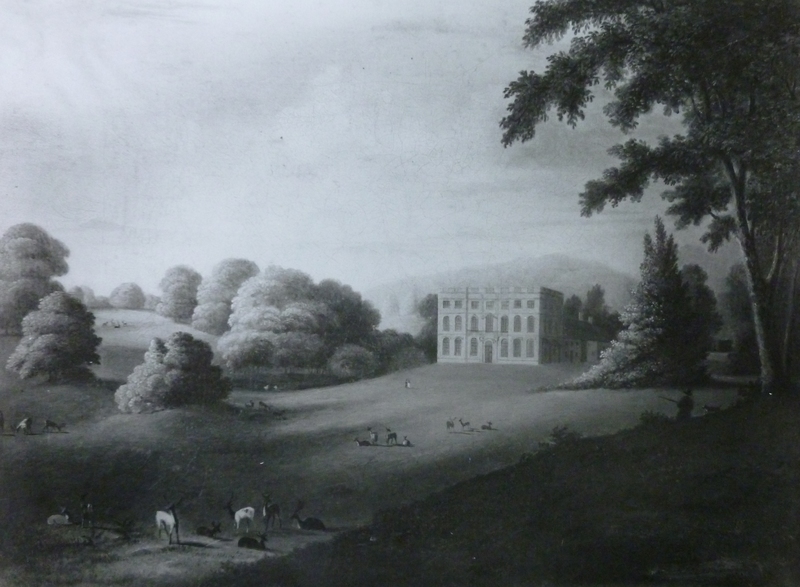 Halswell’s Baroque north wing, c.1740 with a capriccio of a naturalistic landscape surrounding the building. 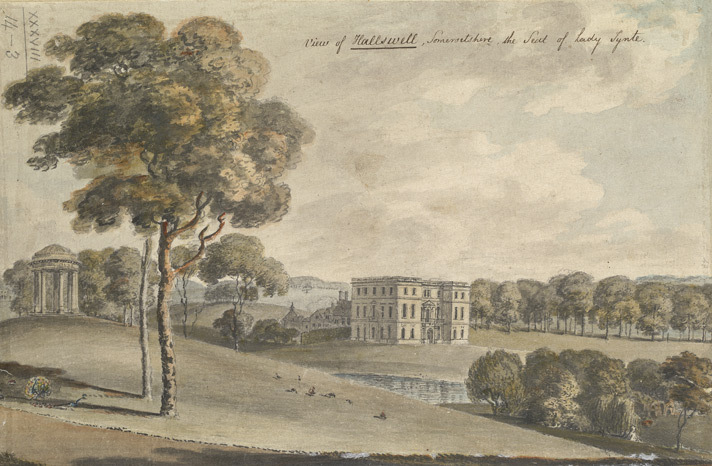 The exaggerated hilly landscape and maturity of the trees suggest this was painted as an impression of what the landscape may become, once the rigid 1680s formal garden was swept away in the 1740’s. 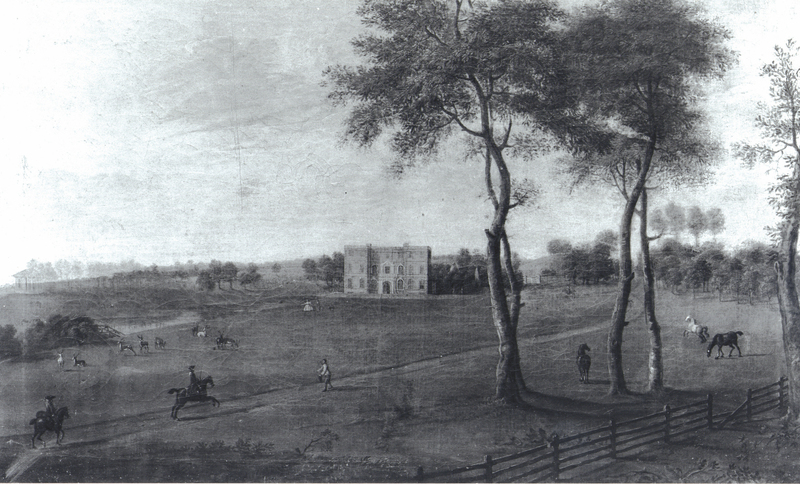 Halswell Park, c. 1750-55. 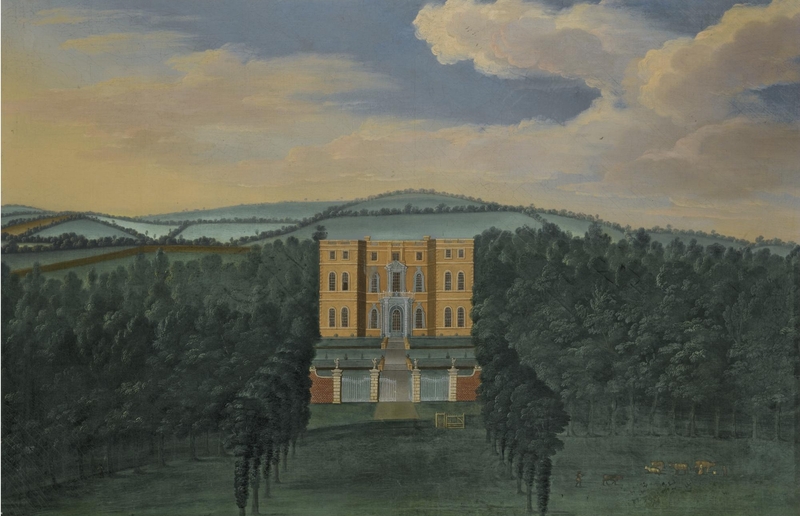 Painted before the Rotunda was built in 1755 but showing pentimento of a ghostly building with a portico standing in its place. This is the only representation of a building which may never have been realised. 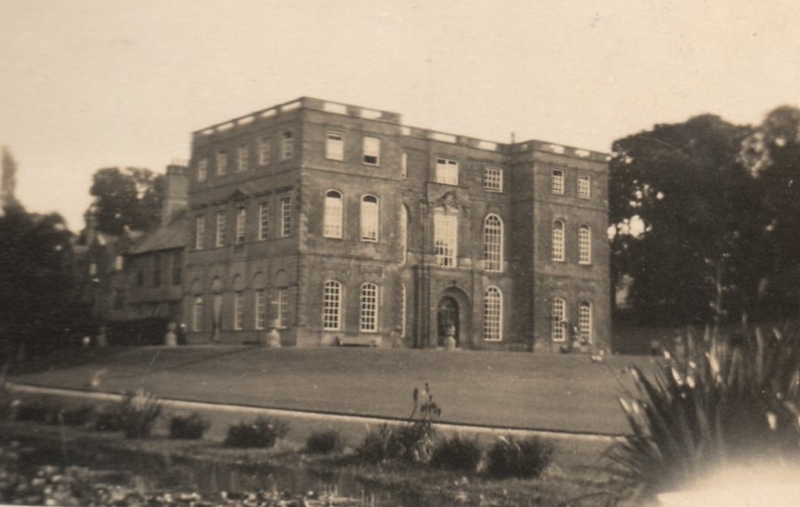 Or was perhaps a modification of the C17th Banqueting House by way of an addition of a portico to its west front. 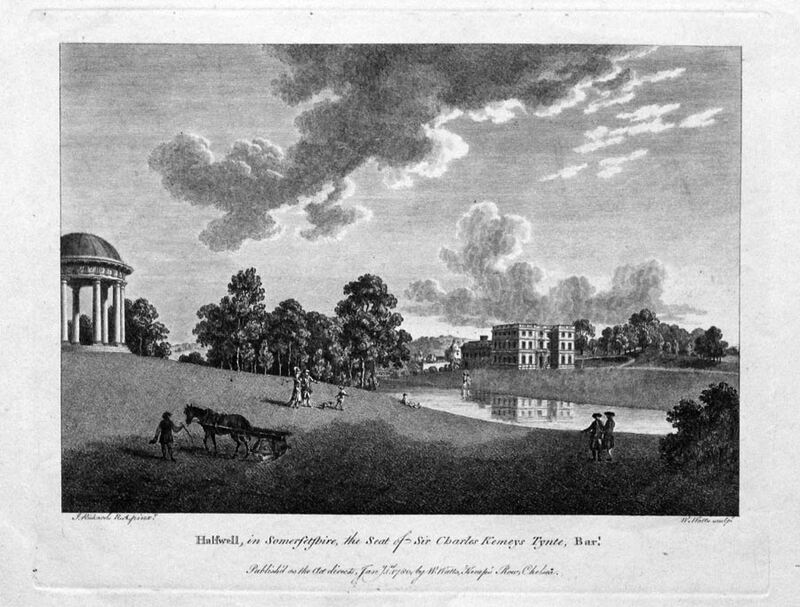 Another possibility is that this building was built but only lasted a short time before the Rotunda was erected on that site. 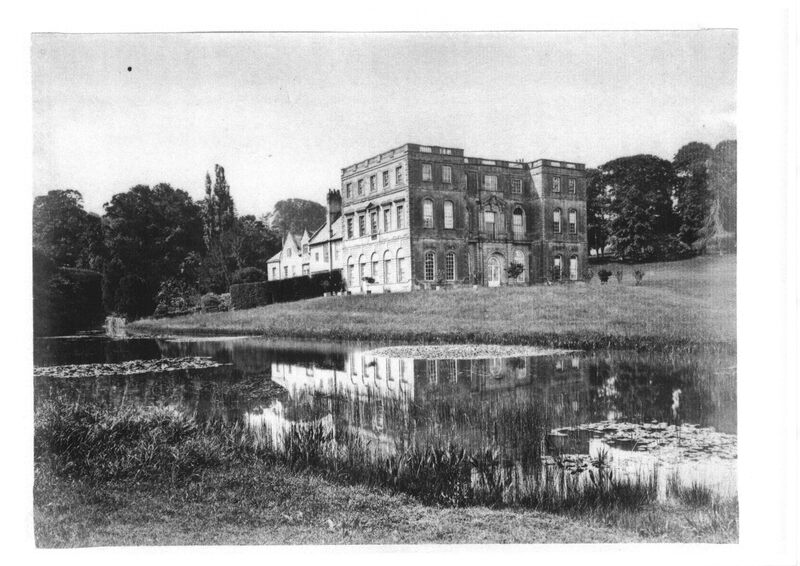 During this period, probably in 1754, the east and west fronts of the Baroque house were remodelled by the architect Francis Cartwright of Blandford (1685-1758). 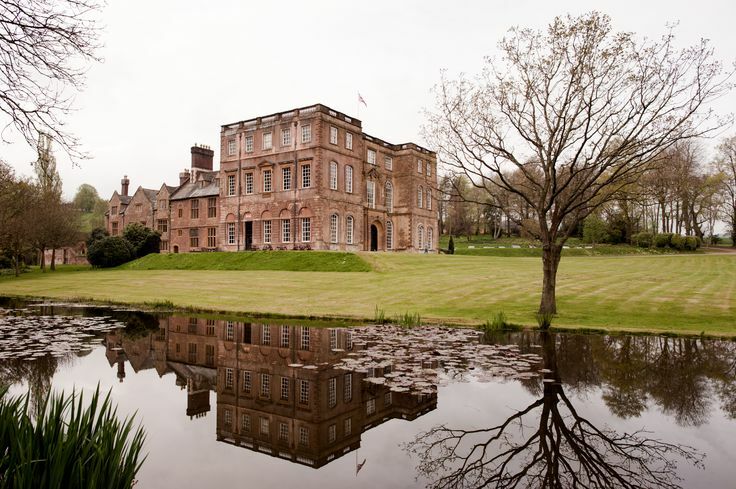 His alterations on the west front include two canted bays to the ground floor of the block of 1689 and a tall screen of rendered brick with ornamental niches which was built across the service court. Both the new courtyard wall and house were given heavily rusticated stone doorways. Detail of the promontory area where the seventeenth-century Banqueting House once stood, the Rockwork Screen, or dam that preceded it, sits below amongst the foliage. “PRINCIPAL BUILDING Halswell House (listed grade I; Buildings at Risk Register 1999) comprises a south range built in the C16 for Sir Nicholas Halswell, and a monumental north range built for Sir Halswell Tynte in 1689 to designs by William Taylor, a London surveyor who made alterations at Longleat, Wiltshire (qv) (CL 1989). The baroque north facade is of three storeys with a flat roof concealed by a balustrade, all constructed in Ham Hill stone. The central doorway is set within a niche, while the window above is flanked by pilasters and surmounted by a pediment and carved coat of arms. The recessed centre of the north facade is enclosed by slightly projecting two-bay wings to the east and west. The east facade comprises a five-bay return of the north range, beyond which stands the irregular two-storey gabled south range under a pitched slate roof. To the west the north range returns with a doorway flanked by niches, while a screen wall conceals the service quarters in the south range. 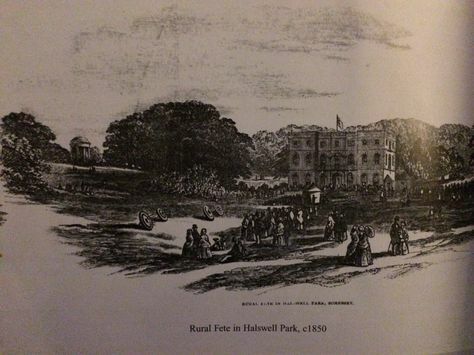 c. 1850 from a newspaper article covering the village fete hosted at Halswell. 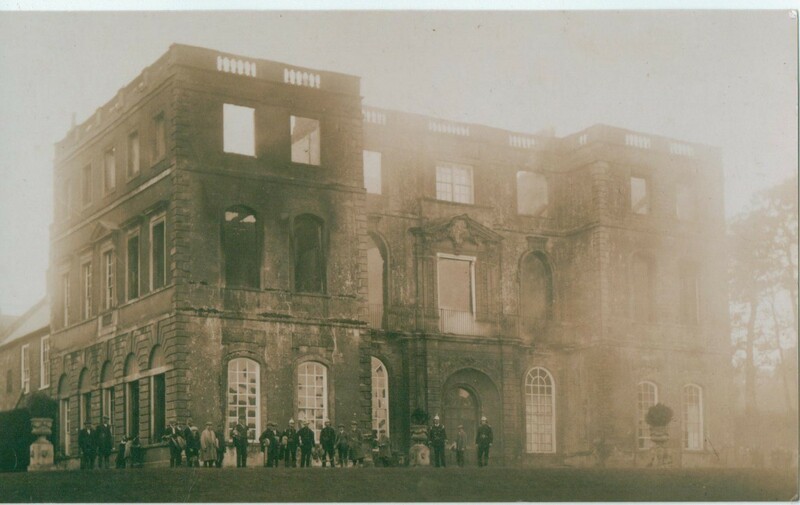 1923 after the fire that damaged the north wing.